MAINTENANCE AND REPAIRS: Servicing and maintenance on all makes of equipment – Kingspan/Klargester – Premier Tec Aqua – Marsh Industries – WPL etc. 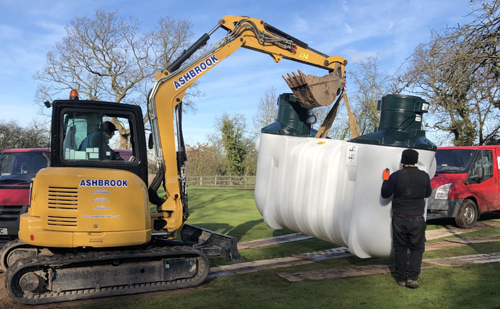 Sewage Treatment Plants require regular servicing and emptying if they are to continue to function effectively, and we offer Service Agreement’s to meet the varying needs of our customers. How often the equipment will need servicing depends on its size, which each manufacturer sets their own recommended service and desludge frequency based on the site criteria and the Environment agency guide lines, complete with duty of care documentations. Assurance that the equipment is being properly maintained in line with the manufacturer’s instructions. Service Report after each visit to advise you how the equipment is functioning. 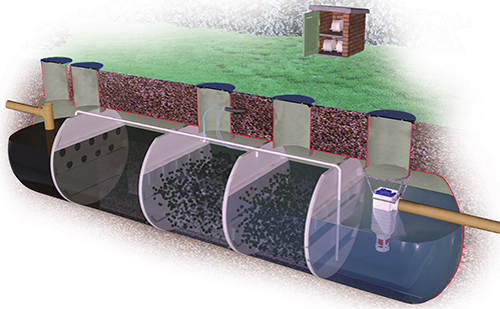 Which gives any prospective purchaser the knowledge that your drainage system is maintained and operated to the highest standards, meeting all regulatory requirements. Envirocare use state-of-the-art CCTV camera technology, to enable our staff to take a close up look at the internal fibres of drains, pipes and sewers. This ensures structural problems are identified accurately, and the most economical and cost effective method of repair is utilised. The drain CCTV survey is carried out using remotely-controlled camera systems. These drain inspection cameras relay images to a mobile van unit so that a technician can assess the structural condition and integrity of a drain or sewer, without disruption to your property or the environment. We can easily locate cracks and clogs within your pipes. CCTV drainage surveys are also useful in situations where the drainage system is remote and difficult to access. This type of equipment is highly portable and allows our staff to inspect pipes in a variety of difficult positions. And specialist software means that you can see the results for yourself on DVD, supported with a full technical report. 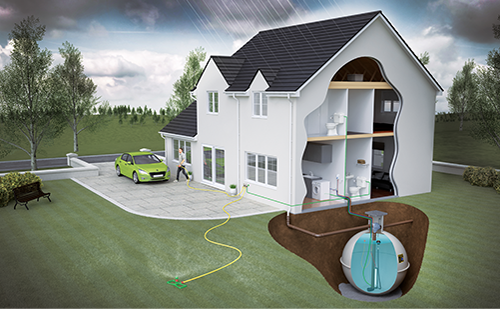 Envirocare offer high pressure water jetting HPWJ drainage service, dealing with drain unblocking/de-scaling/degreasing of surface water and foul drainage runs. Our highly trained and professional staff will assess your drainage problem using the latest, high-tech equipment to ensure that your drains are cleared quickly and with as little impact as possible on your daily life keeping you informed every step of the way. Envirocare North West have extensive experience in working with Commercial, Domestic and Insurance Brokers where a quick and professional service is essential. 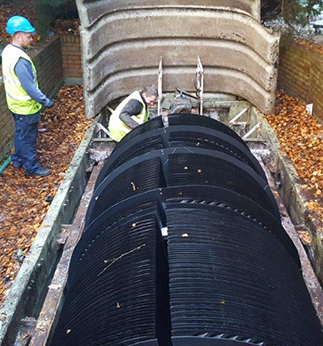 Servicing and maintenance on all makes of equipment – Kingspan Environmental, Conder, WPL and Marsh. Gold – includes all service visits, all breakdown call outs and all spare parts. Silver – includes all service visits and discount on spare parts. Bronze – includes all service visits. All of these can also include emptying if required. Priority for breakdown call outs. Advise on how best to look after the equipment and general do’s and don’ts.